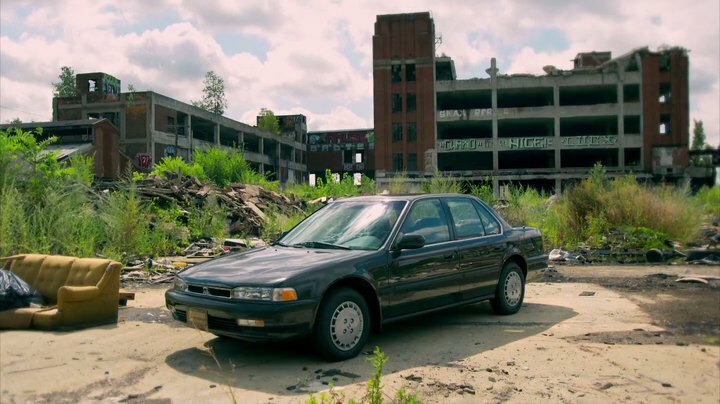 IMCDb.org: 1990 Honda Accord LX [CB] in "James May's Cars of the People, 2014-2016"
90-91, can't tell if it a US-made model during this generation, Honda still imported 4-door sedans from Japan. Filmed at the derelict Packard plant in Detroit with a long sequence at the site. night cub wrote 90-91, can't tell if it a US-made model during this generation, Honda still imported 4-door sedans from Japan. Well, it wouldn't sound right if the Accord was from Japan after May mentioned Honda's Marysville, Ohio plant. https://en.wikipedia.org/wiki/Murder_of_Vincent_Chin The man killed because of Japanese car imports. LX trim. Has hubcaps and appears to lack a sunroof and a front lip.